Prediabetes, also commonly referred to as borderline diabetes, is a metabolic condition and growing global problem that is closely tied to obesity. Prediabetes is characterized by the presence of blood glucose levels that are higher than normal but not yet high enough to be classed as diabetes. 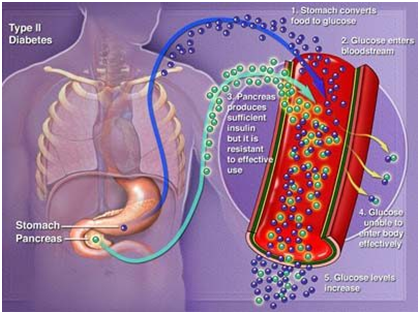 If you dont get treatment for it, prediabetes can lead to type 2 diabetes, heart disease, and stroke. According to the National Institutes of Health (NIH), prediabetes is reversible. Treatment may include lifestyle modifications, such as diet and exercise, and medication. Type 2 diabetes can develop within 10 years if you have prediabetes and dont make lifestyle changes. While pre-diabetes may affect anyone, of any age, gender or racial type, some groups are genetically more prone. The good news is that prediabetes is reversible with long-term lifestyle changes. Follow-ups Day : 1 (9 AM) After initial detection of diabetes type 2, you should visit your doctor after 15 days to see how you respond to treatment and then after every 3 months with necessary test reports. 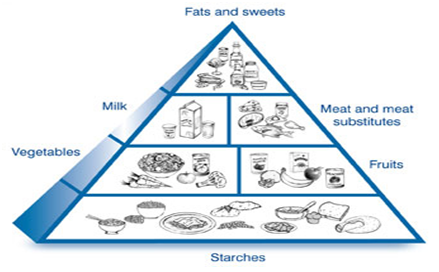 Diet Nutrition Day : 5 (9 AM) It is very essential to make the right food choices and eat healthy food. Limit sugar, fat, cholesterol, and sodium intake to promote good health. Check our care plan for sample diet plan. Signs and Symptoms Day : 7 (9 AM) Monitor your blood sugar level regularly and keep a record using our PHR. Maintain a well-balanced healthy diet and keep your body weight under control. Look for sample diet plan in our care plan. Exercises Day : 9 (9 AM) Try to exercise daily for example 30 minutes every day. 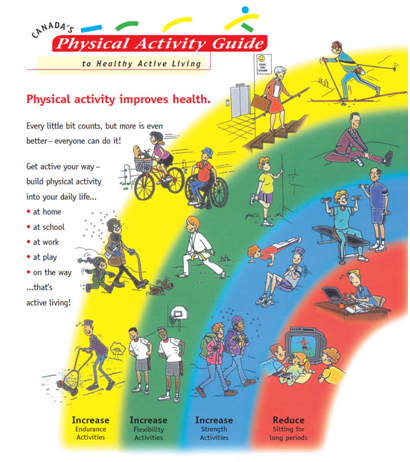 Apart from walking, include - aerobics, swimming, yoga, dancing, tennis etc. into the daily routine. take stairs instead of lift. Signs and Symptoms Day : 11 (9 AM) Take your medicines as well as exercise regularly.Check with your doctor when you are taking any new medicines since Some of the medicines used for diabetes can have interactions with various medicines. Lifestyle Day : 13 (9 AM) Keep a track of your blood sugar at home by monitoring it with glucometer at different intervals of the day as advised by your doctor and keep a record of same in our PHR. Exercises Day : 15 (9 AM) Resistance training can prove beneficial and improve muscle health. If your doctor approves, lift weights maybe twice in a week. Complications Day : 17 (9 AM) Hypoglycemia (wherein the blood glucose levels drop to dangerous levels) can result in catastrophic complications. If blood sugar goes down, You may feel dizziness, trembling of hands or sweating. To prevent this always keep a something to eat such as chocolate or sugar candy with you. Lifestyle Day : 19 (9 AM) Maintain a healthy BMI (a measure of body fat) of less of 25. This will aid maintaining stable blood sugar levels. Talk to your doctor to learn more or check our care plan. Signs and Symptoms Day : 21 (9 AM) Take special care of your foot. Wear proper footwear; get a foot pressure test done to identify high pressure areas which could be prone for ulceration.Check our care plan to know more. 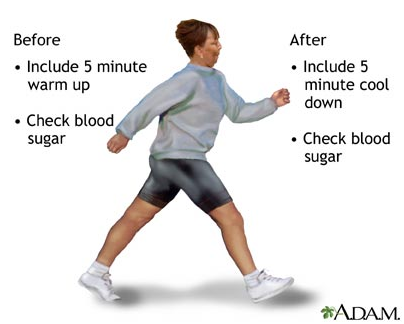 Exercises Day : 23 (9 AM) While watching TV, try to jog or walk in place. Park the farthest in the parking lot and walk to the store. This will get some exercise into your day. Exercises Day : 25 (9 AM) Take the stairs and avoid elevators. This is an excellent way to get the daily quota of exercise that will help stabilizing your blood sugar. Follow-ups Day : 29 (9 AM) Remember to test your fasting blood sugar and post-prandial (2 hours after food) levels every month, and the HbA1c every 3-4 months. Lifestyle Day : 31 (9 AM) Stress can contribute towards increasing blood sugar, therefore have a daily relaxation routine - take a leisure walk, listen to music, chant or meditate. Diet Nutrition Day : 33 (9 AM) Instead of frying, try alternate methods like baking, grilling or roasting. These dont add a lot of calories and keep the cholesterol levels under check.Check our care plan for sample diet plan. Lifestyle Day : 35 (9 AM) Avoid all caffeine after lunch for a good night sleep. This will ensure lower stress levels and stable blood sugar levels. Avoid alcohol intake. Diet Nutrition Day : 37 (9 AM) Fruits and vegetable are powerhouses of vitamins, minerals, fibre and other good nutrients. Include 3 servings of fruits such as papaya, pear and 5 servings of vegetables every day. Diet Nutrition Day : 39 (9 AM) Say NO to sugary and refined foods such as ice creams, cakes, pies, juices etc. They add calories and increase your blood glucose levels. Diet Nutrition Day : 41 (9 AM) Eat a weekly serving of fatty fish. They are rich in good fats that aid in lowering bad cholesterol. Fish oil supplements are another option. Diet Nutrition Day : 45 (9 AM) When eating out, run to the salads first followed by whole grains and pulses. Leave no room for desserts instead eat fruits and drink plenty of water. Diet Nutrition Day : 47 (9 AM) Eat 2-3 fruits such as papaya , pear,orange ,apple every day. Include them as snacks in between meals or as part of the meal. Mangoes, bananas, and grapes contain high sugar; therefore these fruits should be consumed lesser than the others. Lifestyle Day : 50 (9 AM) A sound night's sleep of 6-7 hrs is suggested to improve insulin use by the body. Exercise will help inducing sleep. Diet Nutrition Day : 60 (9 AM) Avoid consumption of processed and packaged foods as they are high on saturated fatty acids, salt and sugar. Diet Nutrition Day : 80 (9 AM) Nuts are packed with heart healthy monounsaturated fatty acids, proteins and fiber. Nuts also regulate blood sugar. So reach out for handful of nuts than other fried snacks. Diet Nutrition Day : 90 (9 AM) Cinnamon(Dalcheeni) is an excellent spice which can reduce your blood sugar. A sprinkle of cinnamon helps in using the insulin more efficiently in the body. Diet Nutrition Day : 100 (9 AM) Berries offer the sweet flavor, low calories, lots of fiber and a good dose of antioxidants, Berries like raspberries, strawberries and pomegranates are rich in a chemical called ellagic acid which is an antioxidant and is good for Diabetics. Diet Nutrition Day : 110 (9 AM) Vegetables are packed with nutrients, are low in calories and full with fiber. Avoid starchy vegetables like potatoes, corn, and peas. Complications Day : 120 (9 AM) Unregulated diabetes leads to high levels of glucose in your blood, it also leads to higher-than-usual levels of glucose in your saliva, which raises the risk for dental decay. Brush with a fluoride toothpaste at least twice a day, and remember to floss. Diet Nutrition Day : 130 (9 AM) Avoid artificial sweeteners. Prolonged consumption increases the risk of cancer. Complications Day : 140 (9 AM) High blood glucose (sugar) and smoking dramatically increases damage to the blood vessels that feed the heart, brain, eyes, kidneys and peripheral nerves, speeding up the long-term complications of diabetes. Quit smoking now! Diet Nutrition Day : 150 (9 AM) Bitter gourd(Karela), also known as bitter melon, can be helpful for controlling diabetes due to its blood glucose lowering effects. Diet Nutrition Day : 160 (9 AM) Black plum or jambul, also known as jamun can help a lot in controlling blood sugar levels. Signs and Symptoms Day : 180 (9 AM) If you develop a regular schedule and follow it closely, you ll learn how your blood sugar levels affect how you feel. You ll start to recognize unhealthy blood sugar trends before they get out of control. Follow-ups Day : 200 (9 AM) See your doctor if you wake up at night feeling restless, excessively hungry & sweating. If you are already on any diabetic medications, you might require adjustment in your dosage or change of medications altogether. Diet Nutrition Day : 210 (9 AM) Please keep a watch on your regular salt intake. Eating less salt may help keeping your blood pressure in control, thus help controlling your diabetes. Signs and Symptoms Day : 220 (9 AM) If your wound does not begin healing within a weeks time, its a warning sign. You should get your blood sugar levels checked immediately. Exercises Day : 235 (9 AM) Swimming is an excellent form of exercise for diabetics, as it minimises the chances of physical injury while making sure all the muscles are optimally used. Diet Nutrition Day : 255 (9 AM) Limit your protein intake. Eating too much of protein may harm your kidneys. If diabetes has affected your kidneys, cutting down on proteins may help your kidneys to function better. Lifestyle Day : 270 (9 AM) While taking care of your skin, keep a check on the frequency of bathing, especially during dry weather. It is recommended that you use a mild soap with moisturizer and apply skin cream after bathing. Signs and Symptoms Day : 285 (9 AM) Diabetes is a silent killer. You would get the symptoms only when the damage has already begun. So, the best treatment is prevention & regular monitoring. Lifestyle Day : 300 (9 AM) Quit smoking. Smoking is considered to be one of the commonest risk factors contributing to Diabetes. Its better late than never. Complications Day : 325 (9 AM) If your blood sugar levels are not monitored regularly, it may result in grievous complications. In severe cases, high blood sugar may cause your kidneys to get damaged. Hence, it is extremely essential to keep a track of your blood sugar levels. Follow-ups Day : 345 (9 AM) Keep a regular check on certain parameters like, your appetite, thirst, frequency of urination. Make sure to keep a track of your weight on a regular basis at least once in 2 weeks. Day : 360 (9 AM) Its advisable to get a urine routine done once every 6 months. Since, presence of albumin (a protein) in urine may indicate early kidney disease which can prevent severe kidney damage at a later stage, if treated early. Regular exercise is important for everyone. It is even more important you have Prediabetes. Exercise in which your heart beats faster and you breathe faster helps lower your blood sugar level without medication. It also burns extra calories and fat so you can manage your weight. Refrain from fasting and talk to your doctor or dietician about any restrictions on fluid or water intake. Do not add SALT or SUGARwhile cooking or as seasoning. For cooking, try to use either Olive oil or peanut oil.